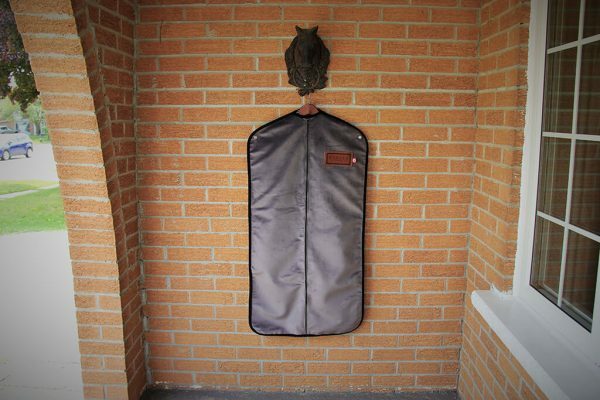 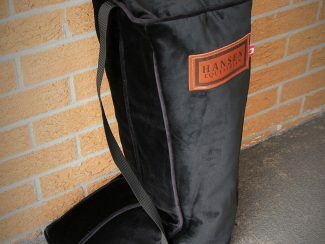 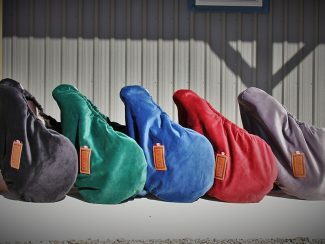 Hansen Equestrian garment bags were designed with riders in mind. 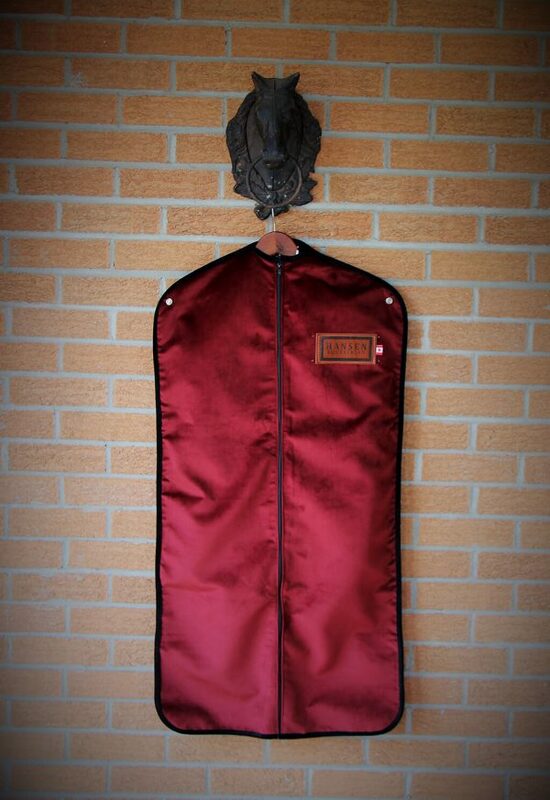 The idea is that each of your jackets gets its own garment bag. 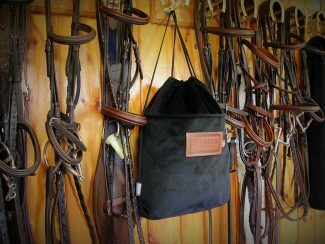 The bags all have gypsy snaps on the top corners so that they can fasten together to keep up with your show schedule. 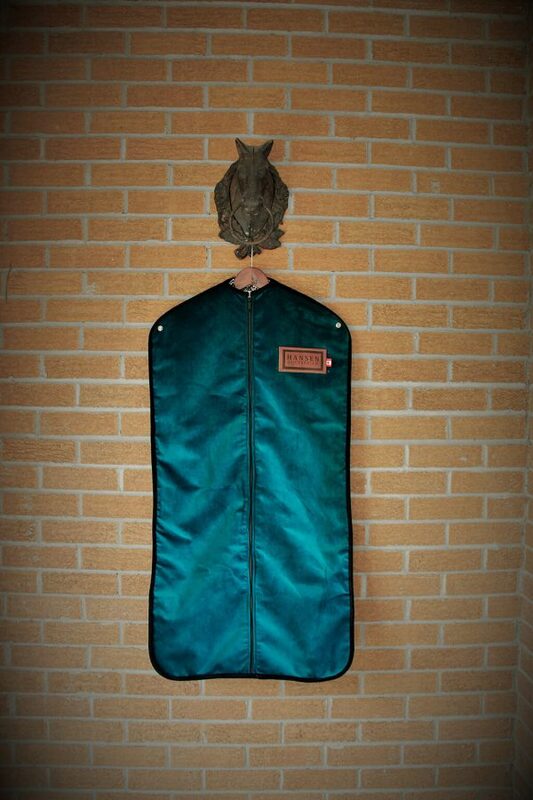 Pick the jackets you need for the day/show, snap them all together and leave the others safely in your closet. 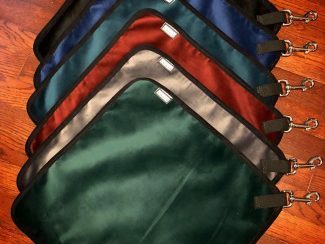 Pick different colours to coordinate with different outfits. 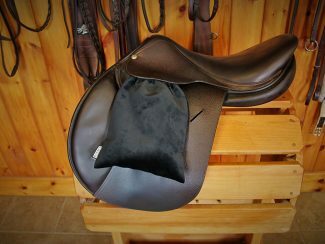 They are long enough to fit a shadbelly and include a pocket on the back for gloves, hairnets and other accessories. 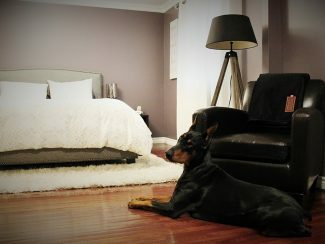 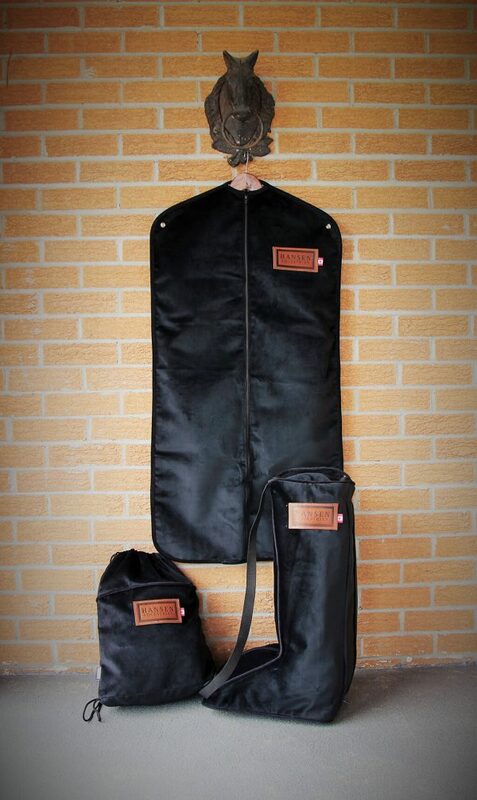 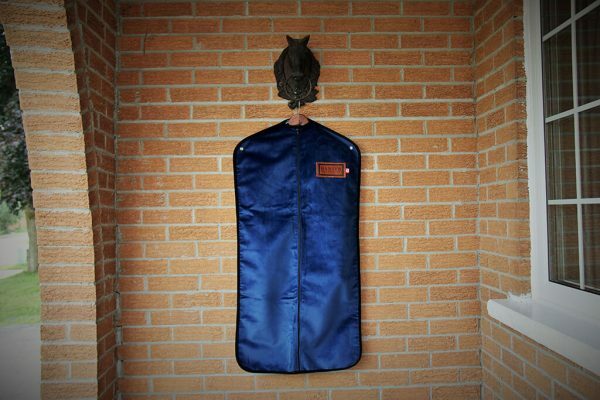 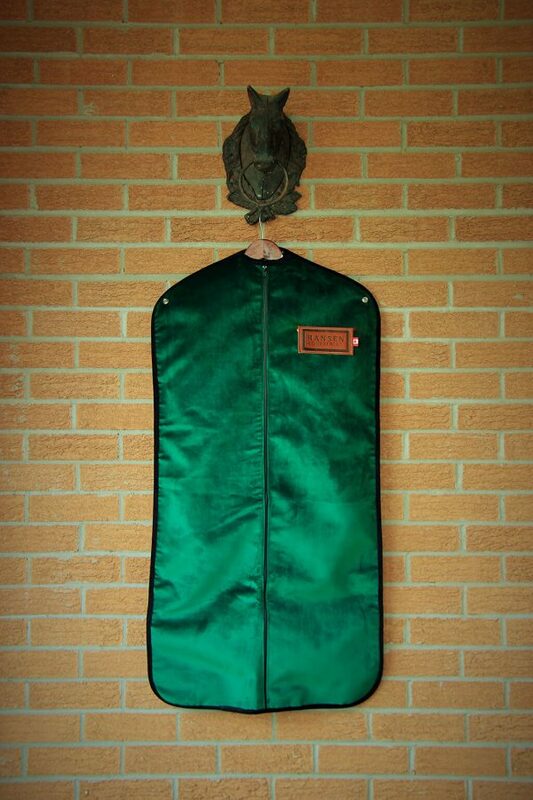 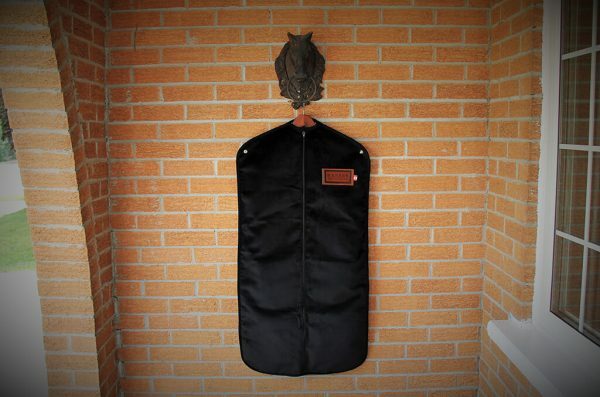 Made of lush velvet, these equestrian garment bags are machine washable.